This month's edition of the state of NEM is even more exciting than the last! So much has happened, from wallet releases, to a fee reduction coming soon, even to the first real companies using Mijin in production! Enjoy! The nano wallet is the new supported wallet for the NEM blockchain platform. It's built completely with web technologies, and as such should be able to run on any platform with a web browser. It's also easily extensible, someone was even able to write an addon for it without any documentation given to them. Users will also get their first look at the Apostille module in Nano Wallet. This will be the first 2.0 blockchain notary service. It allows users to create blockchain notaries and send them to specific HD accounts created just for those notaries. 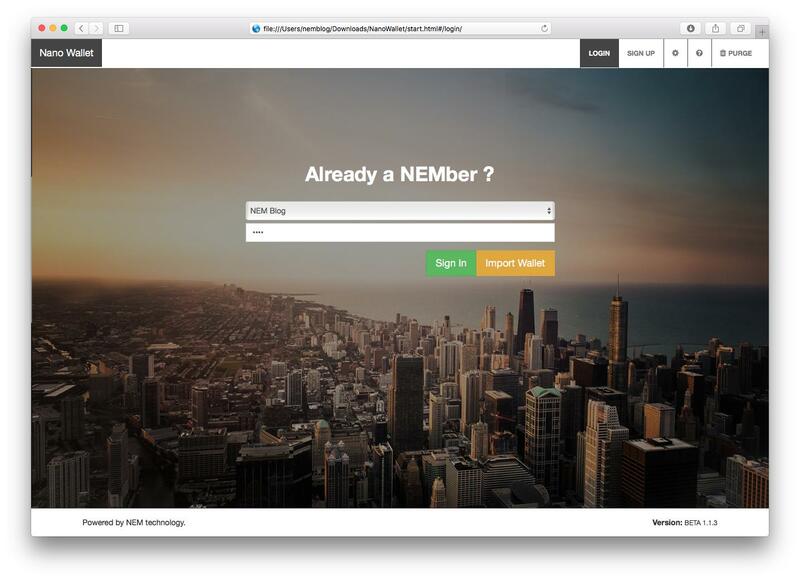 These notary accounts can now receive messages with updates about the object or file represented in the notary, and with the use of NEM's multisig contracts, control of notary accounts can be transferred to other users. This marks the move from blockchain notaries being a simple first generation onetime hashes, to being notaries that are updatable and transferable. The NEM nano wallet is making it's debut this Friday! It will be open sourced and set free on the mainnet for everyone to use. The Android wallet has been in development for a long time, and it's finally ready to be released into the Google Play Store. The Android wallet will be released the Friday after the nanowallet. 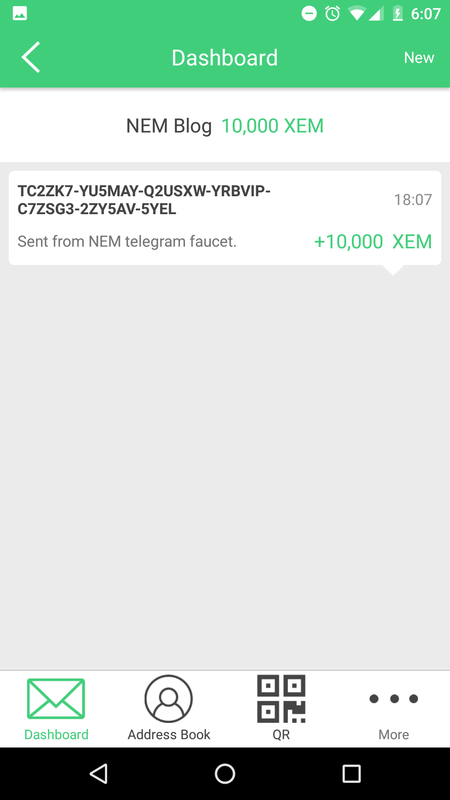 Unlike other crypto wallets on Android, the NEM wallet is lightweight and fully supports multisignature. It is the supported way to manage your NEM wallets on the go, unless, of course, you'd rather run the nano wallet on your phone. The wallet also features a messaging interface, making it easy to hold conversations, and keep track of who's sending what to you. NEM is switching to cheaper fees! The new fee structure can be found here, and will make mosaics on NEM cheaper than assets on counterparty, as well as make nearly everything else cheaper. Everyone running a node is advised to upgrade to the latest NIS version as soon as possible. This will allow nearly anyone with a basic knowledge of programming to create websites and software that can interact with the NEM network. One important thing to note is THIS IS AN ALPHA! Under no circumstances should this be used on the main network at this point with any real XEM or other asset. What used to be 50+ lines of code to access an account and sign a new transaction can now be done in ~3 lines by a novice developer. 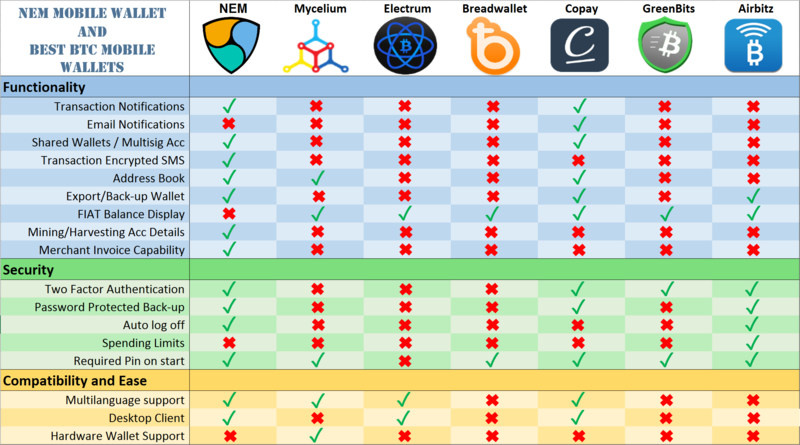 Given the light client nature of NEM, when it's complete it should be much more powerful than Ethereum's web3.js for interacting with it's network. The alpha library is already being used to power the Telegram testnet xem faucet, so you can see it in action there, or test it out and contribute to it yourself. Some real companies are using the tech behind the NEM chain to power their buisness! Let's take a look! OKWAVE is the "largest website in Japan for Q&A and [has been] online since 2000," and they're now using mijin as "a knowledge distribution system, logins/registrations, license management ... and micropayments." Arara is "a large solution provider in Japan for in-house e-money cards for shops, supermarkets, and cafes. They have millions of dollars in store card credit issued and after extensive testing of Mijin predict it will cut their backend costs by 70% while at the same time providing better security and 100% uptime for their clients." A lot of interesting things happened within NEM this month, with many new projects on the horizon. The new wallets will make NEM more user friendly, the new API and lower fees will make it easier for businesses to adopt, and some businesses have already adopted the library! Come back next month for the next edition of State of NEM!